Volvo have a reputation for making rugged, long lasting cars and SUVs. They also have a reputation for safety and build quality. The range tends to be focused on more substantial cars like the XC90, V60, S609 and VC90. 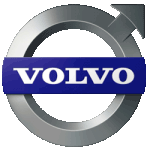 At Little Green Car we've got some great Volvo lease offers. You may well see more than one offer on the same model. If you can't see the Volvo lease deal you want please contact us.